Πλησιάζει η ημερομηνία για τη φετινή SEMA και εκεί η Honda θα παρουσιάσει έξι βελτιωμένα Fit/Jazz. Εκτός από μερικές φωτογραφίες και πως τα βελτιωμένα αυτοκίνητα θα κατασκευαστούν σε συνεργασία με τις Bisimoto Engineering, Kontrabrands, MAD Industries, Spoon Sports USA, Tjin Edition και Kenny Vinces, η Honda δεν αποκάλυψε άλλες λεπτομέρειες. 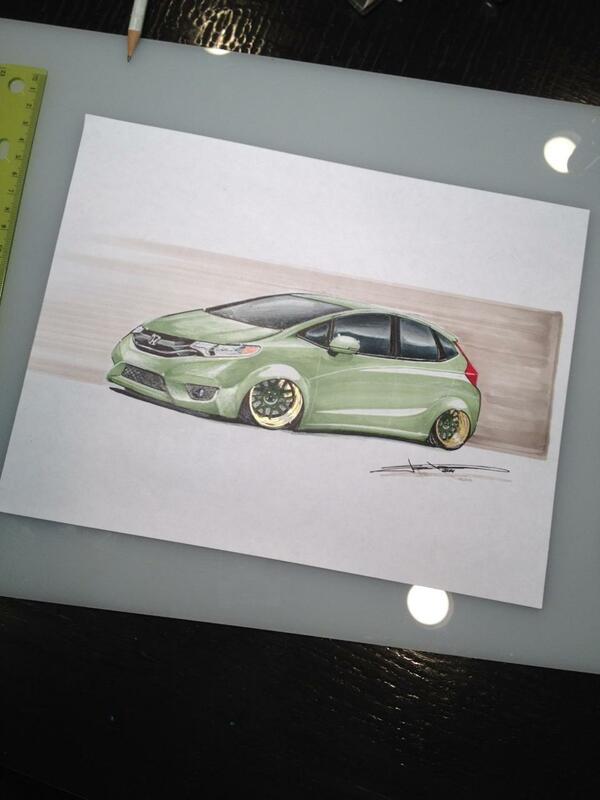 Over the last five weeks, Honda has followed the progress of six build teams as they each customize the all-new 2015 Fit through an ambitious project vehicle program and interactive Tumblr experience (#ProjectFit). 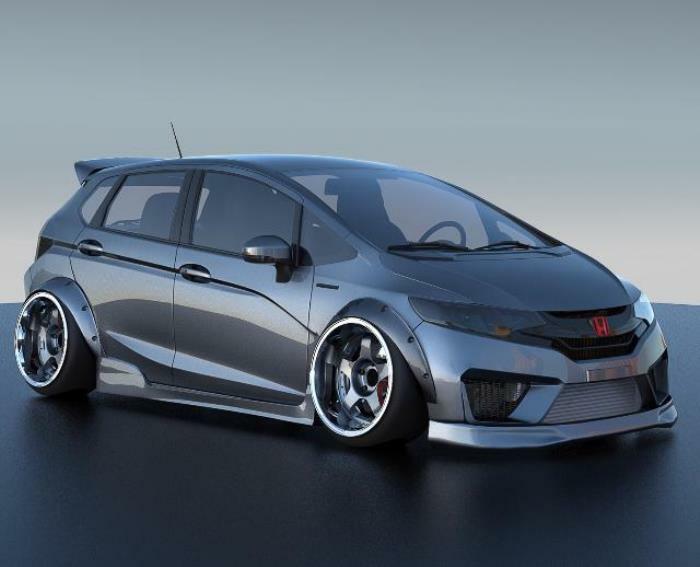 A little over one week remains for fans to vote for the winner of the project (through Oct. 22), with the favorite vehicle to be announced at the 2014 SEMA show in Las Vegas on Nov. 4, where all six vehicles will be on display in the Honda booth. 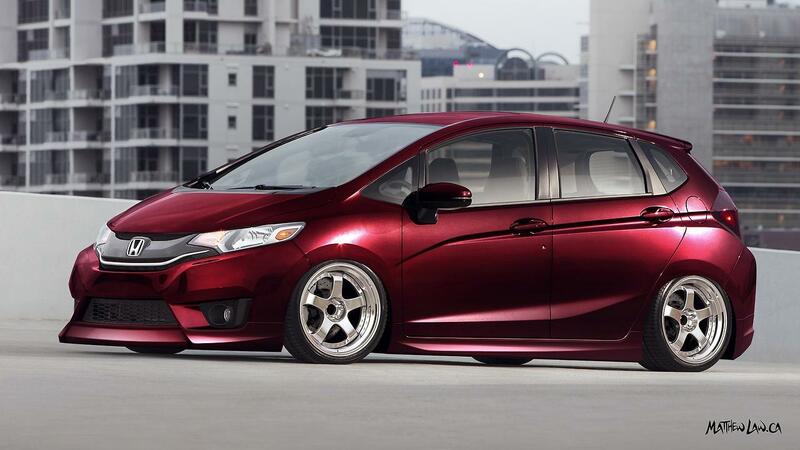 The six build teams, Bisimoto Engineering, Kontrabrands, MAD Industries, Spoon Sports USA, Tjin Edition and the award-winning Kenny Vinces, have each personalized their Fits with modifications such as aerodynamic body kits, wheels, suspension and audio-system upgrades, custom paint jobs and more. Photos, video and animated GIFs of the transformations in progress have been posted throughout the campaign at hondaloves.tumblr.com where fans can like or reblog posts to cast their votes. This effort continues to be promoted on automobiles.honda.com, in Honda newsletters and on the brand’s Facebook and Twitter profiles.